The New York Post offers a piece on the prosecutors dropping all changes against the Baltimore police officers accused in the Freddie Gray case. Prosecutors have dropped the remaining charges against Baltimore police officers in the death of Freddie Gray, bringing an end to the case without a conviction. Gray was a black man who was critically injured in the back of a police van in April 2015. 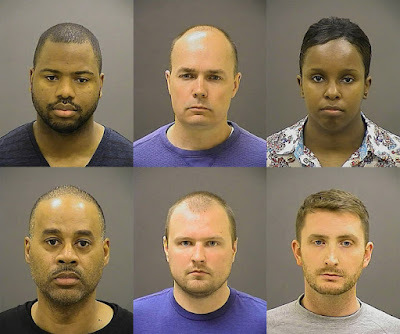 Prosecutors’ decision Wednesday comes after a judge had already acquitted three of the six officers charged in the case, including the van driver and another officer who was the highest-ranking of the group. A fourth officer had his case heard by a jury, who deadlocked and the judge declared a mistrial. Now is it time to prosecute the prosecutor? Hmmmmm.